Keep your kids cosy this season with a children’s hooded scarf or set. Choose from three animal-themed designs with attached ears. Knitted wool cotton fabric makes the products soft and insulated. One size that fits children from age six months to six years old. 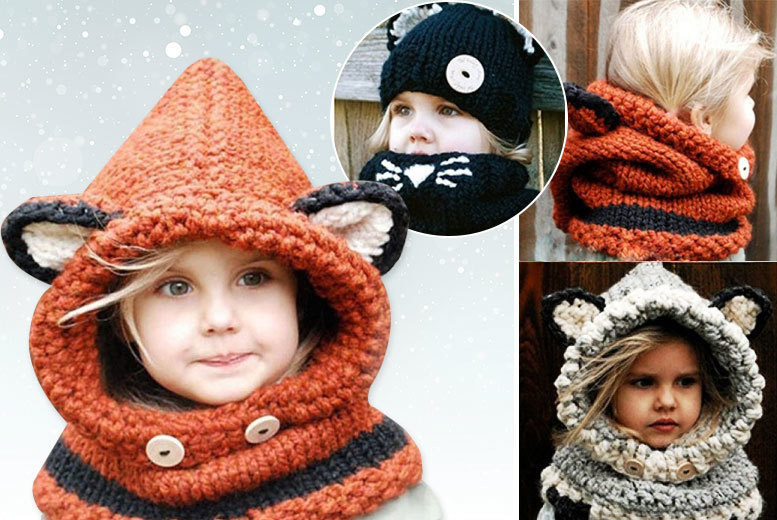 An adorable way to keep little heads cosy this season!